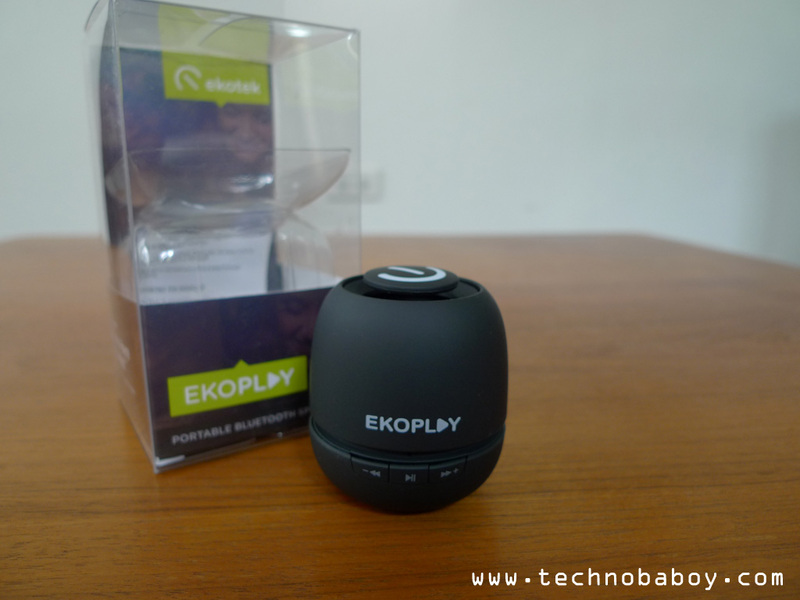 Ekoplay Bluetooth Speaker review. 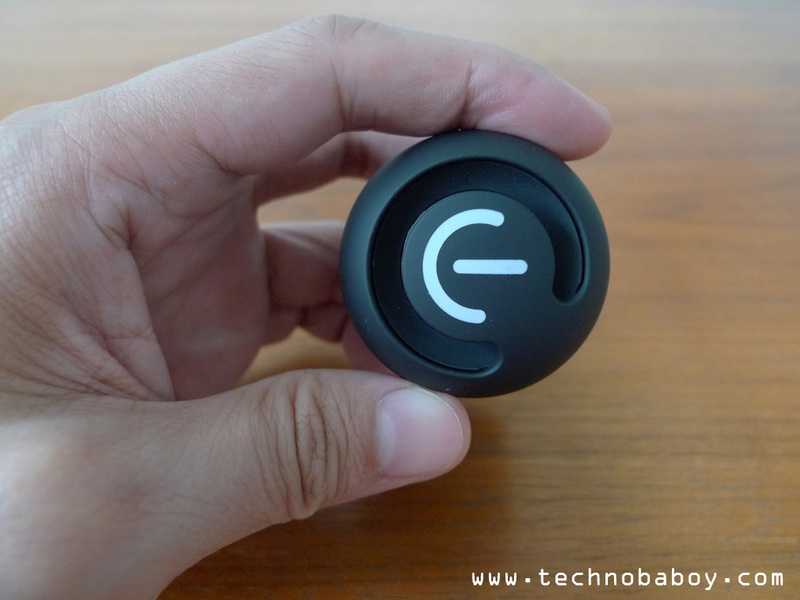 Small Bluetooth speaker under 1K. 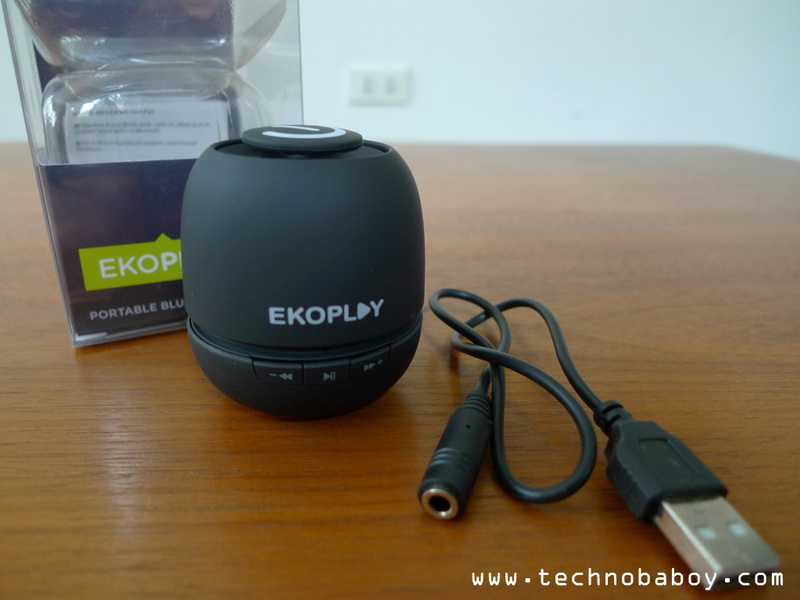 The Ekoplay is a small portable Bluetooth speaker by Ekotek. It’s light, handy and more important, affordable. We’ve got one for review. Let’s see if it’s got what it takes. Review is up. 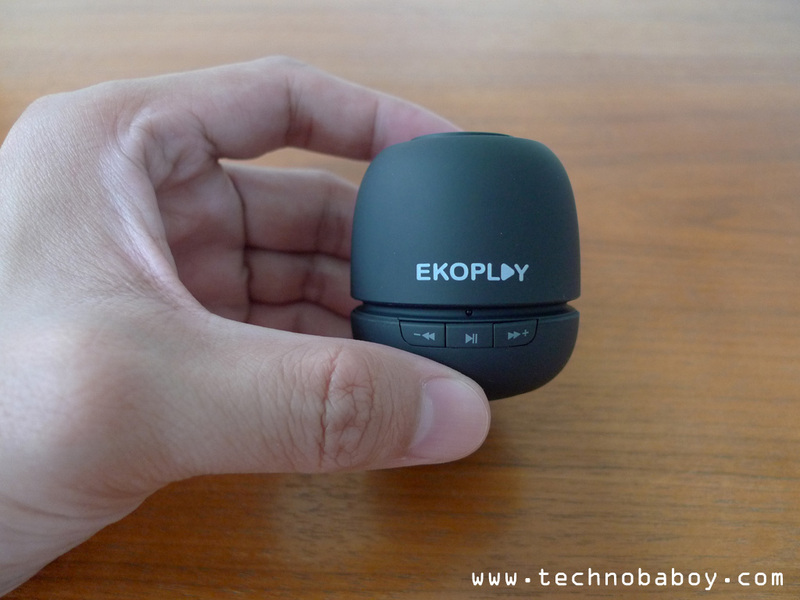 The Ekoplay is a small, egg-shaped upward firing Bluetooth speaker. It has a nice matte finish that has a rubber feel. Build quality is good. It’s solid, light and small enough for easy storage and handling, but doesn’t fit pockets because of its shape. You will find the play, forward and back button up front. The play button also acts as an ON/OFF switch. There is also an LED indicator light, just above the buttons. 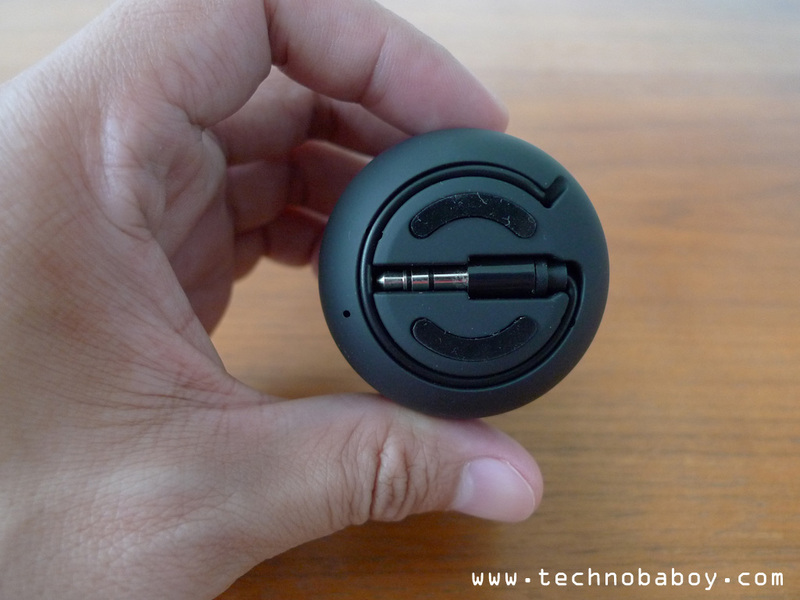 At the bottom, you will find the 3.5mm audio/charging cable. At the back is a 3.5mm port for when you want to daisy chain multiple Ekoplays for a richer experience. There are two ways to use the Ekoplay. One by line-in using the 3.5mm audio cable attached at the bottom, which gives around 6 hours of playing time. And the other is through Bluetooth, which will give you around 3 hours. Pairing the Ekoplay to my phone was easy. Just turn on the speaker and connect it by going through the Bluetooth settings on my phone. Sound quality is average to good. It’s not far from speakers that are double its price, and given that it’s less than a thousand, its good value for money. 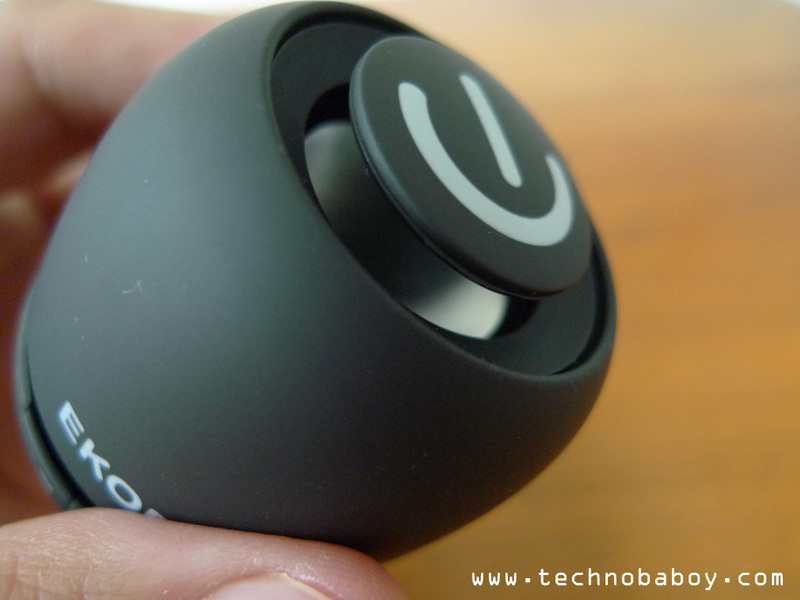 The speaker is fairly loud, and it’s an easy upgrade from your phone or tablet speakers. 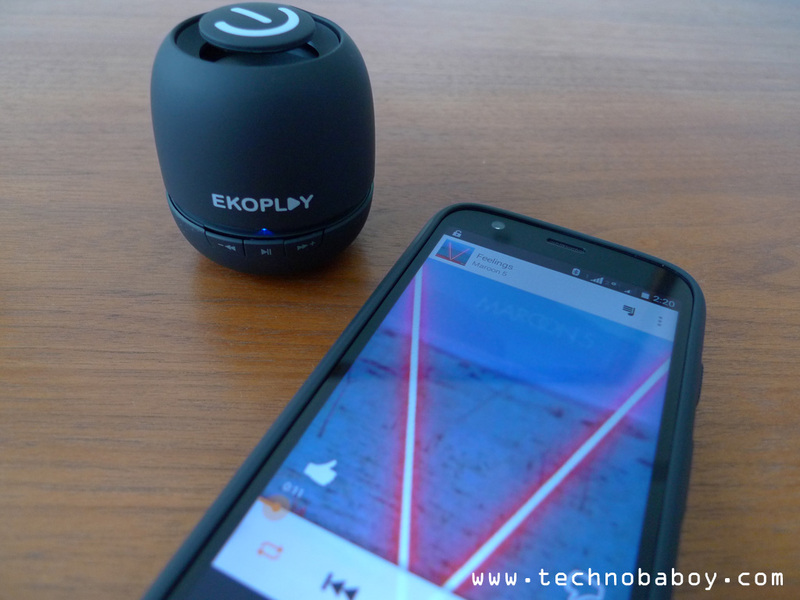 If you are looking for improved sound quality over your phone’s speakers, then the Ekoplay looks like a solid buy for P940. At that price, you will get a Bluetooth speaker with quick controls, good build quality and enough power for you and a couple of your friends. You can find the Ekotek in SM Megamall Cyberzone Ekotek kiosk, SM Megamall Cyberzone Xsite Mobile shop, all Shopwise branches, select Puregold branches (Valenzuela, Monumento, Libertad, Shaw, and Taguig), and in select SM Hypermarket stores (MOA, SM North, Cash and Carry). For more information, you can visit their website at www.ekotek.com.ph, follow them on facebook (facebook.com/ekotekgadgets), twitter (@ekotekgadgets) and instagram (@ekotekgadgets). Google announces Nexus 6 and Nexus 9. Lollipop powered powerhouses. Wow good speakers will def.buy! Wow, off to nearest SM to check this out.